Carrie Antonello has a Bachelor’s of Science in Industrial Engineering and a Masters of Engineering and Management. Carrie has a broad business background and has worked through appliance design and brand management into kitchen design and customer service. She is organized and has excellent project management skills. Her sense of style in home décor has long been recognized by friends and family. When Carrie Antonello's family moved to Raleigh, NC in 2000 she began the process of establishing her own design business. 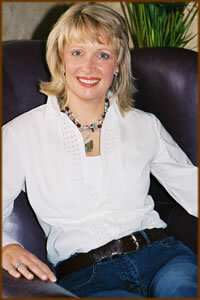 Tuscan Touch Designs is her passion in life second only to her husband and sons. It gives her the opportunity to combine many elements from her educational background, her vast business experience and her love of ‘all things beautiful’! Carrie Antonello is an associate member of the Interior Design Society.